The first Chief of Defence Force Staff, General Sir Francis Hassett, and local pioneer Nina Farrer are commemorated in the names of two new parks in Campbell and Southquay Greenway. The new Campbell 5 park has been designed to be an open space that can be enjoyed by all residents of Canberra. The latest news about Campbell 5 while civil construction and works continue on site. The park will be an important part of the Campbell 5 development and will include grassed areas, children’s play pods and exercise equipment. The latest news about Campbell 5 while civil construction continues on site. A range of traffic arrangements for the roads surrounding Campbell 5 will continue to be put in place while civil construction continues on site. 5 exceptional sites at the Campbell 5 precinct have sold for a combined total of $63.75 million. 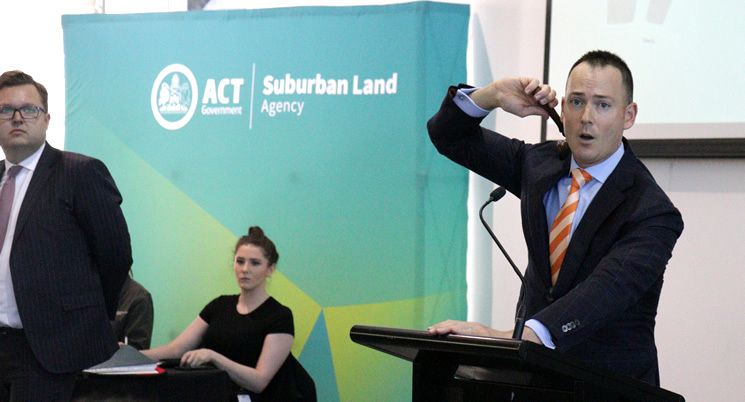 Five exceptional sites are to be auctioned separately at Campbell 5 which is superbly positioned in one of Canberra’s most significant development sites to be offered in decades.